Alli graduated from the University of Stirling with a degree in Business Studies and Computing Science in 1998 and moved on to a number of roles as an IT Trainer. After years of travelling the UK as a trainer, she decided to move into a more static role and began her career in Learning and Development for a large pharmaceutical company. Following this she took on a number of roles in organisations linked with the Research Councils, gradually becoming a more generalist HR professional and obtaining her Chartered Membership of Personnel and Development qualification in 2011. 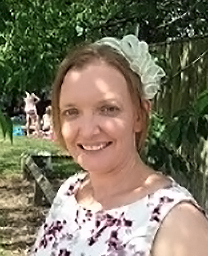 Alli moved to Cotswold Archaeology in order to take on a more senior and challenging role, which also included taking on responsibility for areas outside of HR. It was also an opportunity to work in a different sector and an interesting organisation. As well as responsibility for HR across CA, Alli is also responsible for the management of the CA offices (facilities and infrastructure) and ensuring a fit for purpose IT service for the organisation. This is achieved through an experienced and capable team of people, primarily located in the Kemble office but with links to those based in the other CA offices.